Our patrons have asked us several times in the past two years that Why the White Sapphire section has been empty. Actually, for the past two years we have evaluated several lots of White Sapphires but all of them had some flaw that renders them ineffective for Jyotish Purposes. Some had several inclusions, some had a shade of brown or yellow and most of them had been heated. Natural Unheated White Sapphires in today’s market are very hard to come by. 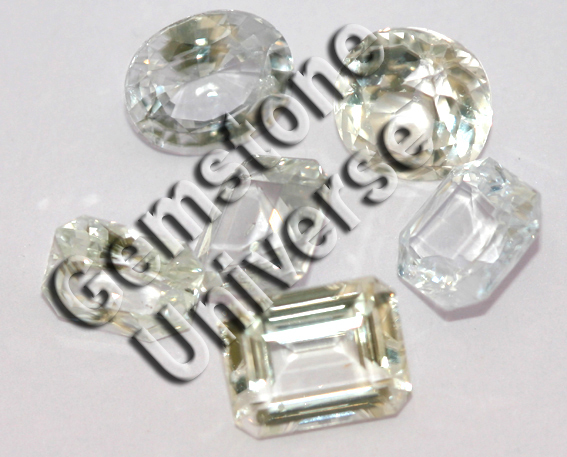 Fortunately, we have been able to procure a small lot of top quality white colourless White Sapphires. Each of these is a beauty and some of the pieces remind of big sized famed Golconda diamonds of the Yore. Each piece is perfect with scintillating lustre. This lot is currently under the process of certification and classification and should be in the online White Sapphire inventory in roughly about 2 weeks time. White Sapphire is the preferred alternative for Diamond as per sacred texts and gives excellent results for Venus-the planet of beauty and luxury. You will experience beautiful Venus energy in this lot of fine White Sapphires.